The queue wireless guest paging system set consists of one 999-channel keypad wireless calling button base and 16 pcs wireless pagers. It adopts RF wireless and learning code technology, can easily pair up to 999 channels of pagers. While the customer places an order, he(she) will be dispatched one receiver with a number, when the order is ready, press the keypad to call the number, the customer will get it through the buzzer/vibration/LED indications. The queue system greatly improves the work efficiency and avoids the client waiting in a long queue. So it is widely used in fast food restaurant, food court, clinic, church and auto shop or other queue occasions. pager will flash, bell or vibrate, then customer should come to the counter to take his food. (1). Packing Details: foam paper + inner box +carton. (2). Delivered Ways: Products are delivered by EXPRESS, such as DHL & EMS. (4). P.S. : The shipping cost does not include any import taxes, and buyers are responsible for customs duties. conditions to us and should bear the shipping costs for return. also pay for the costs of the parts to be replaced. Q1. what is the "lead time" ? customzied order: 5-7 days after get the payment . Q2. what is the "payment terms" ? Sample: paypal,western union ,T/T,Credit card. Q3. what is the "shipping methods" ? General; we delivery goods using internetional express; which is DHL, EMS, FEDEX,ect. Q4. what is the "warranty Period" ? We give1 years warranty for our products. We can customize some of our products according to your requirement. put your logo on the types,But it need extra cost ! 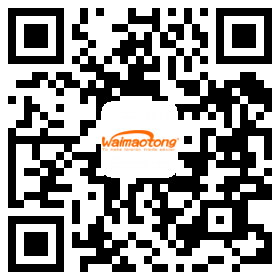 Company Name:BEIJING HAOPENG CENTURY INTERNATIONAL TRADE CO., LTD.